Endless terrain with a wide variety of beautiful Idaho adventures. Horseback Riding – Two guided trail rides are offered most days with the exception of an all day lunch ride on Fridays. 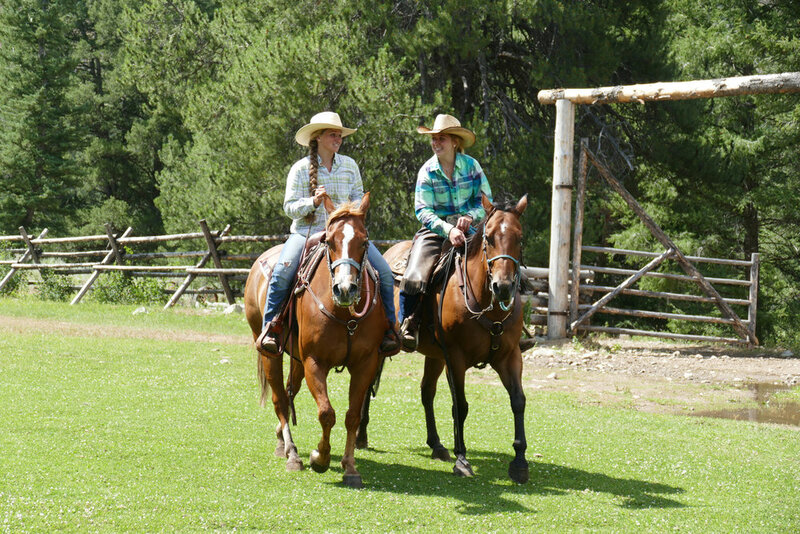 Our trail guides will match you to a horse based on your experience level. We have every type of horse you could want. We have slow horses for those who like to go slow, we have fast horses for those of you who like to go fast, and we have horses that don't like to be ridden for those of you who don't like to ride! All kidding aside, the guides will have a briefing before the first ride of the week to make everyone feel more comfortable. During the briefing your guides will introduce you to your horse and get your saddle adjusted. Most of the rides are between 1.5 and 2.5 hours. Trail rides are available for those six and older. The guides are happy to lead children under six around the corral. Riding lessons are available upon request. Custom Guided Pack Trips - For a trip you will never forget, we can custom tailor a multi-day pack trip into some spectacular high country, or down Loon Creek toward the Middle Fork of the Salmon River. Custom pack trips must be planned in advanced, and additional charges apply. Whether you are interested in a photography excursion, or a unique Blue-Ribbon fly-fishing adventure, we have just the trip for you. Gold Panning – Guests will gather by the creek to learn how to gold pan. It is not uncommon to find nice sized garnets and gold flakes. We supply each gusts with a gold vile to keep their gems safe! Gold panning is offered 3 times throughout the week. 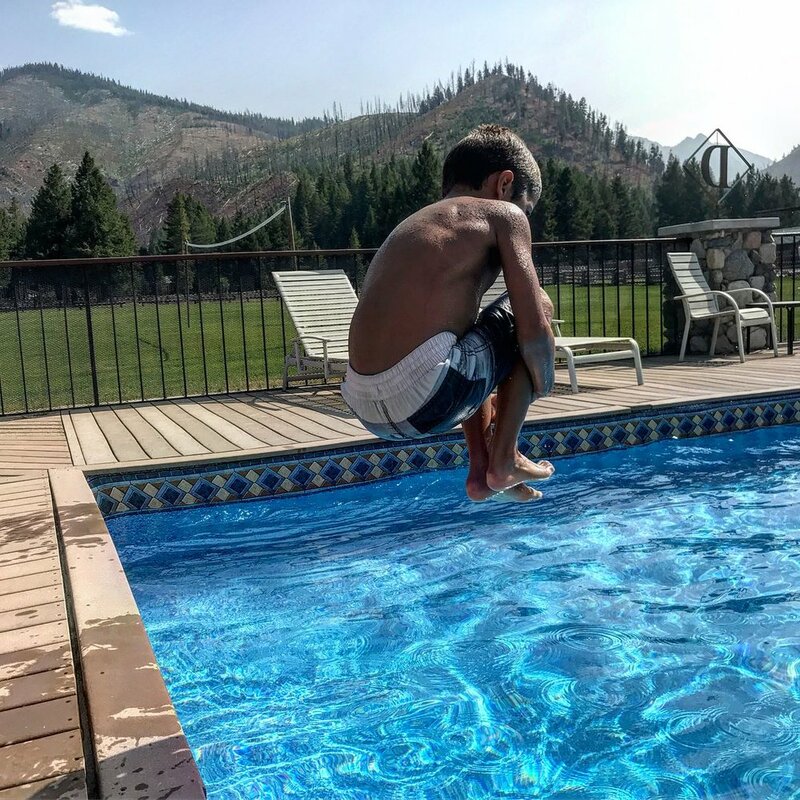 Swimming – The swimming pool is for our guests to enjoy. It is heated by solar tubing, but the cold evening temperatures keep it from getting too warm. The hot tub, however, is always warm and available for use anytime of the day or night. Star gazing from the hot tub is a favorite among guests. Campfires – At the end of the week our crew and guests gather around the campfire which sits directly next to Loon creek, below the lake, to swap stories of the week, share s'mores, and listen to J.R. play guitar and sing! Stand Up Paddle Boards: - Two Stand Up Paddle Boards are available for our guests to check out at an hour at a time, ages 12 and up. Guests under 18 years old must have a parent sign for the SUP use. Check out is at the main office. ** NEW - Yoga** - We now have a certified Shanti Yoga instructor on Staff!! Casey will lead our guests in All Levels Yoga several times weekly. A schedule of Yoga times will be posted at the ranch. Archery & Target Shooting – A guide will go out with the group to instruct in both gun and arrow safety. Once the safety briefing is finished guests will have the opportunity to do archery and shoot clays and/or target shoot. These are popular activities!! 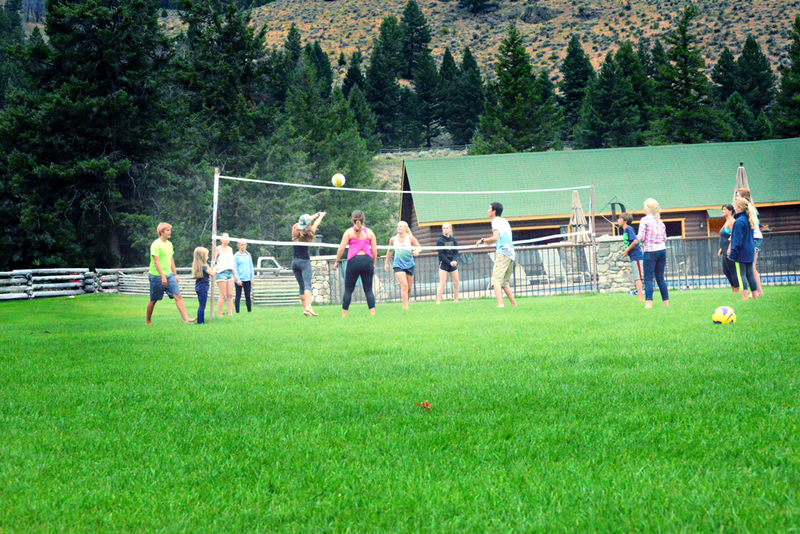 Games – Corn-hole and bocce ball, horseshoes, volleyball, badminton, kickball and ping-pong. There are a variety of board games available in the main lodge. Hiking – perfectly nestled in the heart of the Frank Church Wilderness area, there are many trails accessible directly from the Ranch. A full day guided hike is offered on Wednesdays to one of many beautiful destinations, including Mystery Lake, Owens Hot Springs, and Summit Ridge. Kid Stuff – swing set and play area, with events planned every night after dinner. Babysitters are available for an hourly rate. 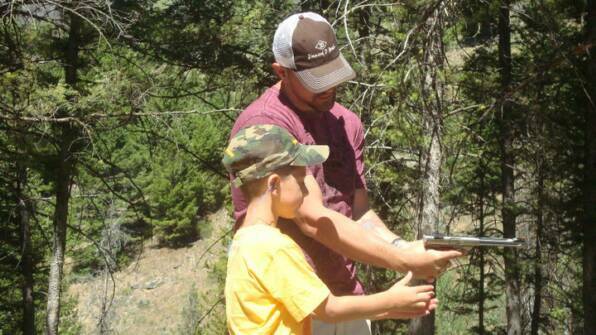 The Diamond D Ranch is also one of Idaho's oldest Big Game Outfitters. For more info on the hunt of a lifetime, visit our hunting website.